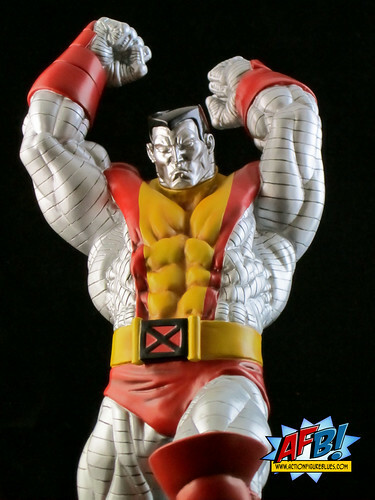 Colossus of the X-Men is a favourite character of mine, and one for whom I’m prepared to break my normal limits per character for statues and the like. I am enjoying the Kotobukiya X-Men Danger Room Statue Series, and when I saw that Colossus was having his turn, it was an easy decision to place an order! I own the Bowen Museum Pose Colossus statue, which is a brilliant piece which sits very well amongst the other classic Bowen X-Men pieces. The reason that this statue appealed to me was the fantastic action pose. Colossus is shown here with his fists raised in the air, ready to smash something to bits. It’s a very dynamic look and the kind of piece that Kotobukiya seems to be able to produce for a more reasonable price than some of its competitors. One of the things that Kotobukiya does quite well is swap-out heads with different expressions, and the choices here are both great. It's something that I'd love to see become more of a standard in pieces from other companies as it gives the collector options and also recognises the significant investment we make in pieces like this. Both of Colossus' expressions are serious with furrowed brows, but one is a determined expression with a closed mouth while the other has Colossus gritting his teeth and looking fierce. I’ve gone with the fierce expression just because it’s something different in my display. The base is a pile of smashed Sentinel parts which sit atop a round silver disc that matches the other pieces in the line. Unlike the Psylocke Statue which I reviewed here, this base doesn’t have any light up features. It’s a compact base which suits the rather large statue it supports. 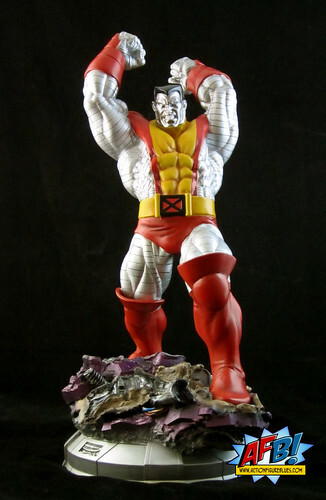 I really only have one criticism of this piece, and that’s the way that Colossus’ mutant metal plating is depicted. The ridges between the plates are actually sculpted, but for some reason they look painted on. I think there is some black edging involved that creates the painted look. The other factor may be that the lines are a bit close together, especially around the ribs. That’s a minor niggle for what really is a very enjoyable statue. The very nature of the pose makes it something different for the collection, and the swap out heads are a real bonus. The reasonable price point compared to similarly sized and posed statues from other producers makes this a piece worth considering. 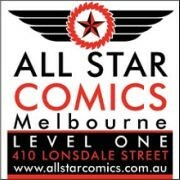 This series is developing in fits in starts, with a few releases but also cancellations of some announced pieces like Rogue and Sabretooth. I hope that we eventually get a decent team set to fill the Danger Room, because this is a very enjoyable series that deserves it! The dude is thick and looking good they did a good job with this one. He is a very spiffy addition. I'm really liking what Koto are doing!